The Second World War was a heavy burden for the colony, especially for the population who suffered greatly. The colonial army had to face mutinies, and évolués employed as clerks revolted. A revolution movement was feared. Maybe a pay rise would bring relief. NAB, Archives of the Council of Ministers. 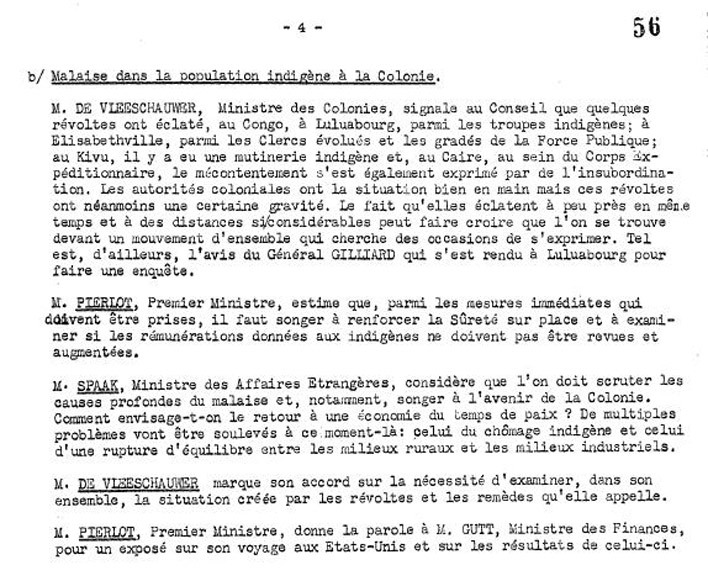 Notules of the meetings, 9 March 1944 (Pierlot government in London), p. 4.